Sitting in the hallway on a mattress. The wind is howling. The roar is constant, like sitting in the middle of a major highway at rush hour – only louder. When it gusts, it shakes the house and you can’t hear the person talking right next to you. We monitor the speed of the wind by how close to horizontal the small sapling is outside the bedroom window. Trees are toppling, peeling up the lawn into a game board of four-foot craters. 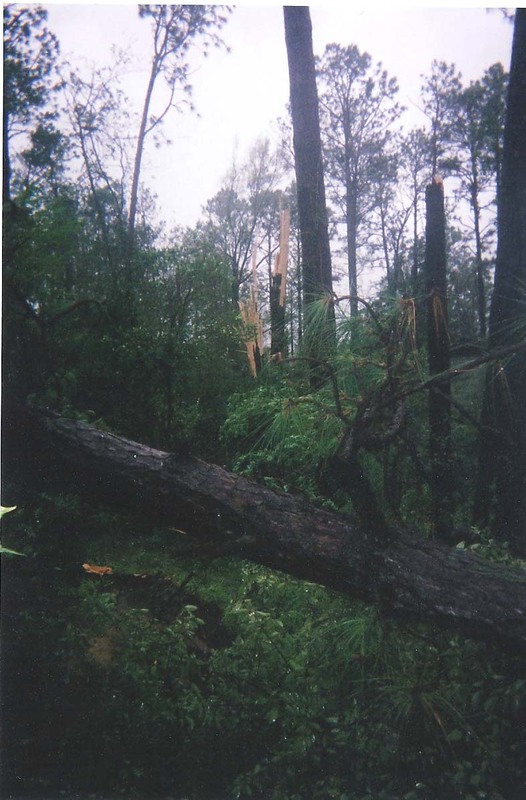 The tornadoes springing out of the hurricane are snapping other trees like pretzels in a child’s fingers. The house across the street has two corners sheared off. One of the largest, vine-choked pines sways, leans, and then in a sudden blast from the south, slams into our neighbors living room. Then it all but stops. The eye. Although the relative silence is a relief, my nerves are still firing missiles in anticipation of the other side of the storm. 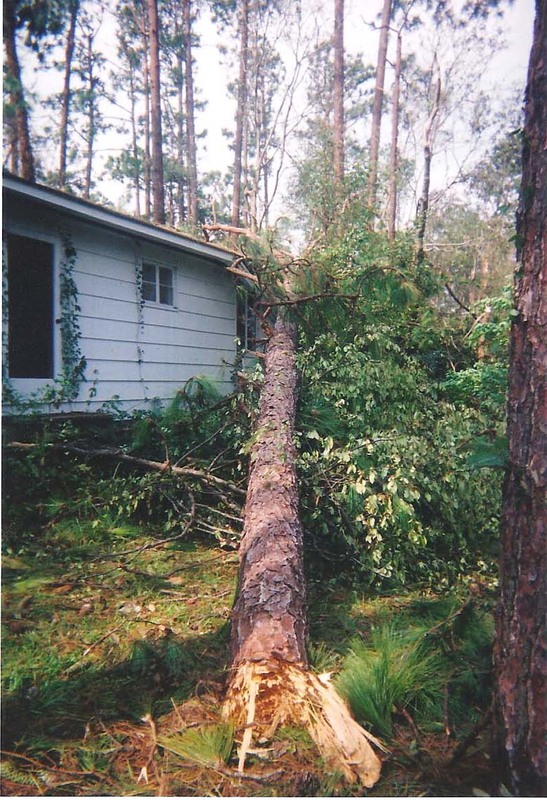 Two hours later, intermittent gusts and complete devastation are all that remain of Katrina. 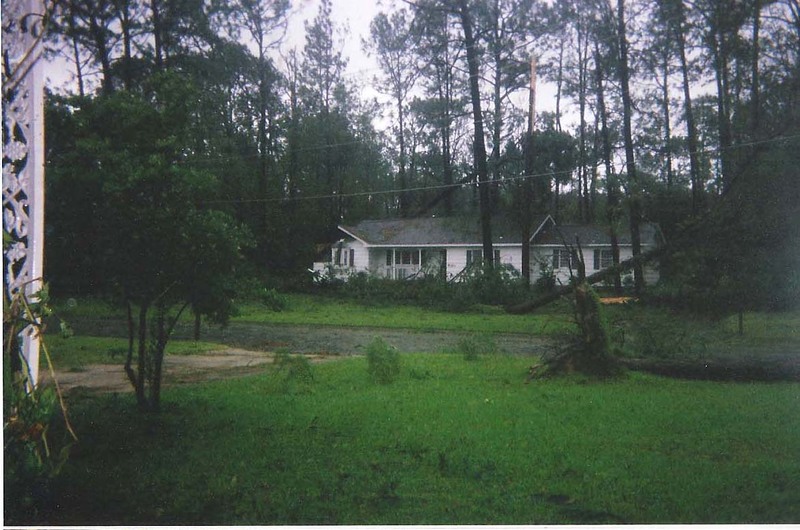 Look closely – corner of our neighbors’ house is sheared right off. 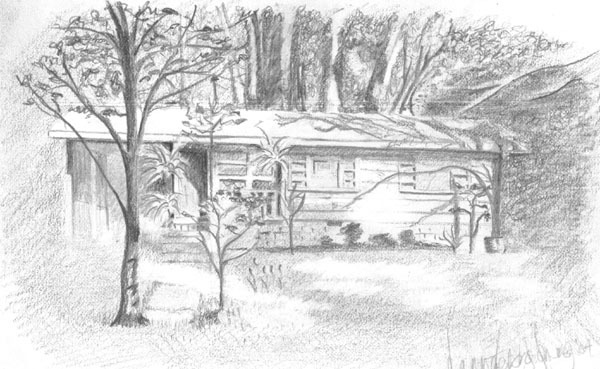 This entry was posted in Life and tagged Hurricane Katrina. Bookmark the permalink.